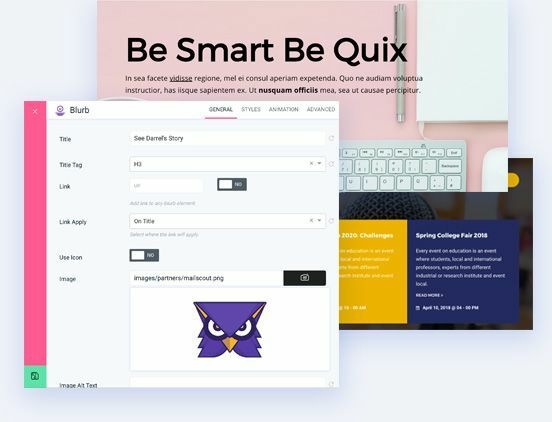 Build website faster than ever with Quix's drag-drop visual interface. 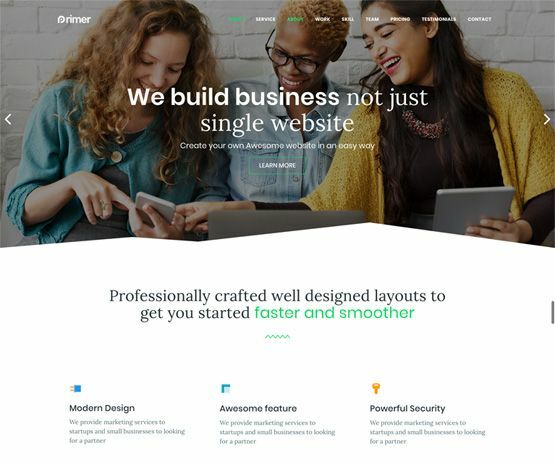 No need to be a designer or coder to create beautiful website. The moment you start using your Joomla template or Wordpress theme from ThemeXpert, you realize you’ll never need another theme again. With just a few clicks, you’ll have a stunning website that takes advantage of cutting-edge technology. And that’s only scratching the surface. The more you use your ThemeXpert theme, the more you’ll love it. 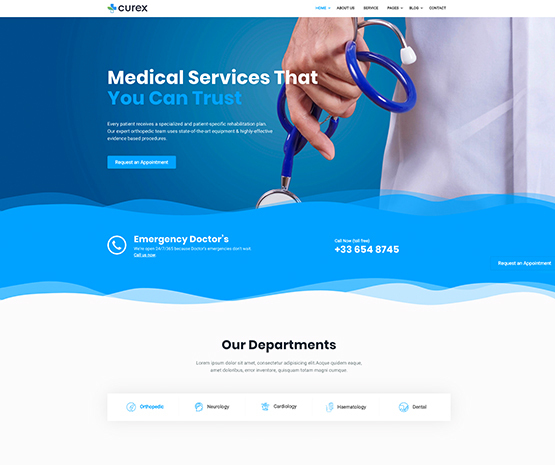 With the help of our unrivaled page builder Quix, you’ll create a stunning, cutting-edge website in just a few clicks. Select form our array of beautifully designed Joomla templates and build website in minutes. The faster you can test new changes to your website, the faster your website, blog, or business will grow. That’s why Quix is such a great tool for anyone with a Joomla! site. With Quix you’ll save time and make sure every minute you spend working on your website is focused and productive. At iJoomla.com, we've been looking a responsive template that looks great, easy to configure, uses bootstrap and is super light! We found all this in the expose framework. We are utterly impressed with this template, the code, the CSS, the backend settings and more and we will be using it on over 15 iJoomla sites on iJoomla.com. This framework makes our lives so much easier, we love it! The developer has been great to work with, very responsive and open for feedback. Highly recommended! I have used virtually every Joomla! template framework available and I find Expose to be the best in the industry. The attractive and easy to use backend administration is what drew me in, but the incredibly clean and easy to modify code base is what sealed the deal. Ever since I first started using Expose I have spent most of my free time contributing ideas and code back into the framework. 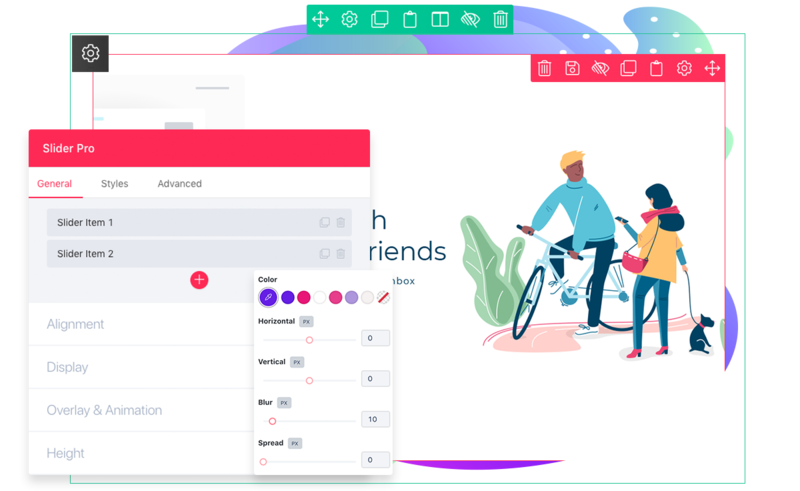 Expose will dramatically speed up your development time and give you options you never had before… and there is a LOT more coming! I started with Joomla in 2007 and spent way too much time on templates, design and layout. I have tried a variety of ‘easy’ and ‘quality’ templates and template builders over the years and always felt I had just wasted my money. 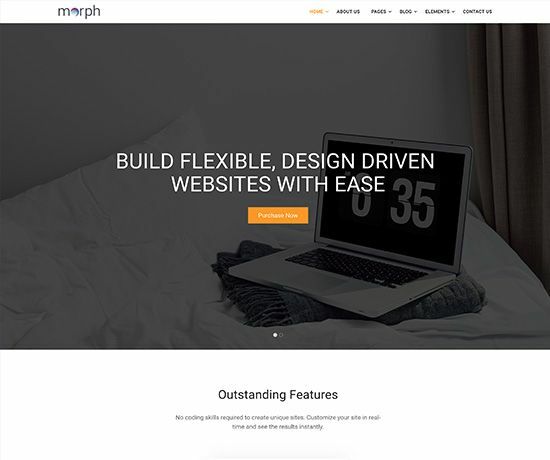 Since discovering Themexpert, smooth and stylish templates, 100% responsive, and fast and easy to customize, are now a breeze. My clients are happy and I’m impressed. The support is great, any issues are resolved in a timely manner. This is the first template I have purchased from Themexpert and I will definitely purchase from them again. Being unfamiliar with their template engine I had a few issues but the support was quick, efficient and friendly. Lovely template, great service! I have looked and tried many other joomla themes that came with good extensions along with customizing capabilities. I was just gong to hire someone to get the look I wanted, but I found StreamX theme by Themexpert. I found it exactly what I needed with just the right extesnions that work how they said and the module positions are perfect. I was hooked! There support is far superiour than any other. I opened a ticket on Sunday early morning expecting a response in Monday but Parvez replied to my ticket on his vacation day and made sure my issue was fixed. When comes to Joomla themes there is no one else I will work with. 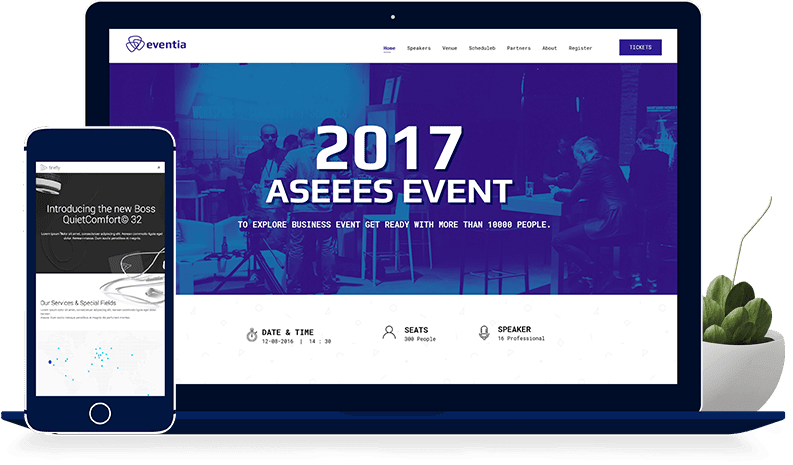 All our themes are responsive right out of the box, so you can rest assured your site will look great for all users--no matter what type of device they’re on. Plus, our responsive themes allow you to prevent large files from loading on phones & tablets--making your site loads faster. Our templates follow Google’s guidelines to the letter, so your site will have SEO best practices built in right out of the box. When your on-page SEO is configured properly, you’ll be in great shape to shoot up the organic rankings, bringing your site a massive wave of free traffic. What good is a beautiful site if it loads so slowly that no one stays around long enough to see it? Our code is always light and optimized—never bloated. Plus, our mobile-first approach means that our sites load at blazing speed on smartphones. Technology moves fast. In order to keep up, you need to take advantage of all the latest tools, like Joomla 3, Bootstrap, HTML5, CSS3, Expose Framework, and more. With ThemeXpert, your site will automatically leverage all these cutting-edge technologies-- without having without having to learn any of it yourself. You can change anything you want about your site--from the layout to the look and feel to the way it functions--to make it uniquely yours. We understand everyone’s needs are a little bit different, which means you’ll probably have a few unique questions for us. Our friendly support staff is just an email or chat away. We’re always here to help you out.